Time & attendance software is used by companies and HR departments to simplify time tracking. These solutions manage company time and attendance data by automatically calculating all hours worked as well as vacation time, holidays, sick days, and overtime. Time & attendance solutions offer a variety of methods for clocking in and out including clocks, web, phones, and tablets, to name a few. Some solutions might provide added features including scheduling and visibility into overtime causes and trends. Meanwhile, some time & attendance tools also offer employee self-service portals for employee visibility into all timecard details. Although time & attendance tools are often included as built-in features in workforce management software, which helps companies optimize workforce efforts, these solutions should not be confused. Time & attendance systems typically integrate with payroll software or payroll services providers to export all employee attendance data. Time & Attendance reviews by real, verified users. Find unbiased ratings on user satisfaction, features, and price based on the most reviews available anywhere. Save time and money – and gain peace of mind – with ADP Workforce Now, the easy-to-use and complete human capital management solution for companies with more than 50 employees. Built from the ground up with a single database, the fully integrated ADP Workforce Now suite features Human Resource Management, Payroll, Benefits, Talent Management, Time & Labor Management and HR Analytics capabilities. From rock-solid payroll to proactive compliance to managing employees across borders, ADP Workforce Now frees you from mundane administrative tasks so you can focus on your people and drive business results. Plus, Workforce Now integrates simply and securely with other best-of-breed HR and business applications through convenient APIs and the ADP Marketplace. ADP Workforce Now equips you with the tools not just to track HR information, but to help you manage your workforce and make data-driven decisions. And, as you grow, you can add the functionality you need. Save Time and Money: •	Fewer employee questions – easy self-service tools like our top-rated mobile app provide access to W2s, timecards, paychecks and more •	Less manual data entry – your updates sync automatically to payroll, benefits and dozens of other systems •	Competitive pricing – options designed to meet your specific needs Gain Peace of Mind: •	Unmatched expertise – with over 65 years of experience, ADP has served organizations across nearly every industry •	Automated alerts – to help prevent costly errors •	Compliance with confidence – over 2,500 specialists actively monitor regulatory changes and focus on helping you meet your compliance needs •	Trusted – more than 60,000 businesses rely on Workforce Now to get their payroll, HR, benefits, talent management, time & labor management, and compliance done right PAYROLL. The best-in-class affordable solution that is available anytime, anywhere. Quickly and accurately process payroll. ADP Workforce Now is also engineered to help support your tax & compliance obligations and scales with you as you grow. HUMAN RESOURCES. Your people are the lifeblood to your organization’s success. With configurable workflows and online document storage, reduce the time spent with paperwork and increase the time managing and transforming your people. Self-service functions empower employees and managers alike to be efficient with their tasks so they can be more productive and collaborative. TALENT. Recruitment, performance management, compensation. With a solid recruiting strategy, branded career sites and intuitive dashboards, you can make hiring decisions in a snap. Create a pay for performance culture by aligning employees to goals and tracking progress. Spot trends, identify candidates for career growth. Reward your highest performers with a simplified merit and bonus process, complete with compensation guidelines to help enforce your policies. BENEFITS ADMINISTRATION. Administer benefit plans, execute a smooth open enrollment process, and collect the data required to be compliant with the ACA. Easy to use dashboards keeps ACA compliance front and center. Easily create eligibility rules and make online open enrollment available to employees. Manage your benefits budget by easily monitoring billing discrepancies to help stop premium overages. Available as a standalone module as well as part of the integrated HCM solution. TIME & ATTENDANCE. Manage labor costs, boost productivity and simplify compliance by automating your timekeeping, attendance tracking and scheduling. Fast and convenient online and mobile access improves visibility, saves time, makes it easier to manage coverage, expedites approvals, and improves timecard and payroll accuracy. ANALYTICS. Making data-driven business decisions has never been easier. With all of your Payroll, Human Resources, Benefits, Time and Talent information in one system, you can gain real, data-driven insight into your business. ADP Benchmarks lets you see how you compare to companies like yours— industries like yours— and locations like yours—so that you can confidently make strategic decisions based on the industry's largest data set. MOBILE. The free, top-rated ADP app has an elegant interface that provides you and your employees with access to Human Resources, time and payroll-related data anytime, anywhere. PAPERLESS SOLUTIONS. Further your go-green initiatives with paperless solutions. Help reduce paper and gain control over the enormous amount of employee records. Scan, store and search employee documents with ADP Document Cloud(sm). Reduce or eliminate printing deposit notices. iPay provides easy online access to online pay slips from any device. With iReports and iArchive have access to your reports and online storage of historical reports. Kronos Workforce Ready® provides solutions for the modern workforce by providing powerful human capital management (HCM) and workforce management all in one unified suite of seamlessly integrated applications. Work smarter with integrated HR, talent acquisition, onboarding, benefits, compensation, performance management, time and attendance, scheduling, payroll, and more, that are easily accessed through an intuitive user interface. Our cloud-based solution is built for your budget and can grow with you as your business grows. And it’s all in one platform, with one employee record and one simple user interface. With Workforce Ready, you get enterprise-class power at a price you can afford. Kronos® is a global provider of workforce management and human capital management cloud solutions. Kronos industry-specific workforce solutions are built purposefully for businesses, healthcare providers, educational institutions, and government agencies of all sizes. Tens of thousands of organizations — including half of the Fortune 1000® — and more than 40 million people in over 100 countries use Kronos every day. Dayforce is a global human capital management (HCM) platform that transforms the employee experience. It unifies data from across the entire employee lifecycle to enable better decision-making at every level. Dayforce is a comprehensive cloud platform that combines HR, payroll, benefits, workforce management, and talent management in a single application. Our scalable platform is built with a single, flexible rules engine combined with real-time updates and calculations that help address complex regulatory requirements. Dayforce offers: •	Continuous pay calculation: This means that pay is calculated continuously throughout the pay period, giving administrators the time they need to produce high-quality pay. •	One application: With data stored in a single, central location, get data-driven insights across all HR functions so you can make better decisions for the entire employee lifecycle. •	Actionable insights: Dayforce provides critical data-driven insights to help you make fast, informed decision. •	Anytime, anywhere access: Access Dayforce using the device of your choice on web or mobile. Deputy is the ultimate workforce manager, offering you the best technology in a web based solution. Simplifying your scheduling, timesheets, tasking, employee communication and administrative tasks. With brilliant apps and one click payroll integration we make your life easier. 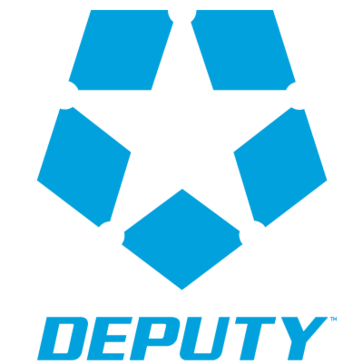 Let Deputy give you visibility and control over your business and workforce management. iSolved HCM is an industry-leading human capital management technology company that brings together the key workforce functions in one robust, easy-to-use platform, iSolved. Payroll, HR, Time & Attendance, Onboarding, ACA Compliance, and Benefits Enrollment are all delivered from a single application, in the cloud, specifically built for the small-to-midsized employer. It has achieved rapid market share, with more than 2 million employees and growing. iSolved also includes innovative features and options to boost employee engagement and improve productivity, including its mobile app, iSolved Go and its NXG line of time clocks. iSolved is delivered through elite, regional payroll providers who provide customers with the white-glove service they need in today’s regulatory environment. This unique approach gives small-to-midsize employers access to a cutting-edge HCM solution, while retaining the local service relationship they prefer. For more information, visit www.isolvedhcm.com. ONEMINT™ provides businesses of all sizes, a cloud-based, full suite of seamlessly integrated applications for recruiting, onboarding, time and attendance, scheduling, absence management, payroll, benefits administration and more, that are easily accessed through an intuitive user interface. Our solution is a scalable yet completely affordable software that allows you to grow your business. And it’s all in one platform, with one employee record and one simple user interface. With ONEMINT, you get enterprise-class power at a price you can afford. ONEMINT is a global provider of workforce management and human capital management cloud-based solutions. ONEMINT industry-specific workforce solutions are built purposefully for businesses of all shapes and sizes. Our clients are industry agnostic and range in size from 10-10,000 employees. Flock is an automated HRIS, human capital management, and HR benefits solution that eliminates numerous HR pain points that simplifies the time-consuming and costly HR administrative tasks required to onboard and continuously manage employees from hire to retire. Oracle Workforce Management Cloud automates the entire time and attendance record-keeping process and provides an intuitive, web-based interface for time entry and approval. It offers a simplified way to submit, review, track and approve timecards. Workforce Dimensions is reimagining what’s possible in modern workforce management technology. The underlying architecture, integration, data access, delivery, and support are designed to optimize both the employee experience and the manager experience. Workforce Dimensions is a full-suite workforce management solution built on over 40 years of global experience across all industries, including time and attendance, employee scheduling, absence management, labor analytics, and data collection. Additionally, Workforce Dimensions offers full-suite human capital management (HCM), including human resources, payroll, employee performance, and compensation management, and more. PayrollHero.com is a time, attendance, scheduling, HRIS and leave management platform that works for business all over the world. Use our TeamClock or MyClock apps to have your employees clock in and out for work, our thresholds will automatically enforce your attendance policy and our resolve attendance tool lets you decision infractions like overtime or missing clock ins. Our HRIS is a full featured tool that enables you to track your employee data. Leave management takes care of employee vacations, approvals and balances. TimeIPS is a comprehensive computerized time and attendance system. It includes software and optional hardware that work together to track and report on labor, jobs, projects, benefits, schedules and more. TimeTrex Workforce Management is a comprehensive workforce management software solution that provides even small organizations with the benefit of automation, that previously only large companies could afford. The extremely flexible rule engine can automate some of the most complex government regulations and business policies, in both Canada and US. Its mobile app can transform tablets and phones into fast and accurate biometric facial recognition timeclocks. Optional cloud-hosted or on-site deployments. ● Time and Attendance ● Payroll ● Scheduling ● Leave Management ● Human Resource Management (HRM) ● Job Costing ● Document Management ● Invoicing ● Expense Tracking ● Recruitment ● Customizable Reporting Time and Attendance TimeTrex is a rule based system that tracks and monitors employee attendance accurately in real-time. GPS location can be recorded with each punch. Managers can be alerted if an employee signs in/out outside a set geographical boundary or GEO fence. Manual and auto punch is available for salaried employees. Multiple methods of tracking time such as with computer web browsers (PC/Mac), mobile app (iOS/Android) with tablet or smart phones, biometric facial recognition timeclocks. Payroll Since TimeTrex handles both Payroll and Attendance you can work on payroll anytime during the pay period, ensuring a more complete and accurate payroll. An advanced payroll deduction calculation engine automatically calculates federal and local income taxes as well as other custom deductions such as benefits, insurance and accrual programs. TimeTrex supports multiple legal entities, direct deposits to multiple employee bank accounts from multiple business bank accounts, mass wage increases, secure electronic pay stubs and a variety of tax and other government reports. Scheduling Automate simple or even complex multi-week rotating schedules and never generate them manually again. Managers and authorized employees can securely modify employee schedules from anywhere, anytime. Employees can submit requests for schedule changes or leaves. Leave Management An unlimited number of accruals can be setup to automatically track employee vacations, sick days or compensation time. Accruals can be recorded in both hours and dollars. Employee Self-Service Besides clocking in/out, employees can have access anytime to view their schedules, time sheets, accrual balances, pay stubs and government forms; verify their timesheets; make absence or shift change requests and synchronize their schedules with their own calendars and mobile devices. Human Resources Management (HRM) Track and manage employee qualifications and centralize their information in one place. Streamline the process of generating performance reviews and communicate your expectations effectively. Track injury reports, entrance/exit interviews and disciplinary measures. Job Costing Accurately allocate time and immediately identify labor costs attributed to projects by employee, branch, department, task-type and quantities produced. Project time and costs can be efficiently tracked from anywhere, whether you are in the office, on-location, traveling, or working remotely, even when cellular service is not available. Document Management Categorize and track revisions over the life span of your documents. Have peace of mind knowing exactly when and who is responsible for modifying each document. Easily attach important documents to employees, benefit/insurance records and a multitude of other items within TimeTrex. Managers and authorized employees can securely view documents from anywhere, anytime. Invoicing TimeTrex can generate invoices for an unlimited number of customers in just a few clicks. Track clients and their on-going account balances, setup recurring payment options, ship orders and maintain inventory. Accept and process multiple forms of electronic and non-electronic payments. Keep track of outstanding balances for each client account and easily print or email electronic invoices, overdue notices and account statements to your clients. Expense Tracking Employees can electronically track expenses or mileage, upload photos of receipts and get approval from their superiors. Each expense can be assigned to specific branches, departments, jobs and tasks for fine grained reporting. Approved expenses flow seamlessly into the TimeTrex payroll module and are automatically reimbursed to the employee. Recruitment Automatically extract detailed information from applicant resumes, search for applicants based on the skills needed, manage the interview process, then hire with a single click! Post internal or external job vacancies, then manage the entire recruitment process from initial posting to contract signing. Resumes can be attached to each applicant or job application. Customizable Reporting Easily create custom reports, including charts and graphs, then have them emailed to your inbox at scheduled days/times, or just view them directly on your dashboard. 4c Timesheets is solution helps to ime and cost recording and collection for project tasks and other activities using integrated. actiPLANS is a leave management system that makes the entire leave management process easy and effortless. It provides a clear view on the corporate work schedule and shows who and when is taking a leave. actiPLANS data allow managers to plan resources and make a realistic work plan. Human Resource Management simplifies Human Resource processes by enabling employee self service and automating complex calculations like overtime, statutory computations (CPF, EPF, Income tax). HR & Payroll made Easy and Fast. From small, private cafes to major firms, Albam is all you need. With All Hours, employees don't have to fill out anything at the end of the month, which also means you don't need to calculate anything manually! Comprehensive solution for timekeeping, scheduling, and time off off management support with an easy to user interface and the ability to go entirely paperless. Regardless of what ADP time and attendance solution you're using, Metropolitan Software has a version of Attendance Counts for you. factoHR's system is most elaborated and flexible software attendance management in India. It can be linked with any bio-metric device and attendance data flows to payroll software without manual intervention. MSS Software has a variety of attendance tracking solutions using barcode scanners to automatically track all your people, attendees or students at events, seminars and conferences. Push Operations is a workforce management platform for restaurants. It gives owners full transparency, with a single place to schedule, track time, process payroll, manage their staff information, and see real time labour reports. AttendView provides many features and can provide your company significant savings in payroll costs. No downloads, setup or installation required in order to use this software application. No hardware or machine required No limit on the number of workers you can add Record clock-in time Record over-time & under-time Comprehensive statistics This FREE software application is designed to track time and attendance of your employees in the simplest possible way. Add employees and the software application takes care of the rest. It emails the employee and tells them to sign up. Once signed-up, they sign-in to use the application to clock-in. Being the owner of the software application you automatically become a super-admin and you can view the status and history of all your employees. You can create other admins and super-admins for administration on your behalf. Additionally, IP address, machine name and key is recorded so you can authenticate the clock-ins. Various other features makes this application a must-have for your office! BadgeBox Verifies The Attendance Data Of Your Employees And Increases Productivity. Attendance and Real-time Location Sharing mobile application for field employees with rich data analytics. Best Attendance is a solution for share event schedules, manage membership rosters, run recruiting drives, track attendance, and communicate online. Biolife Time & Attendance is a time tracking software with scheduling, reporting, historical data, leave management, accruals, and real-time reporting. Employees punch in/out from any computer, tablet, or smartphone. You manage their time online. Increase your impact and measure your outcomes with CiviCore Client & Case Management solutions, designed for human services organizations like yours. Clockgogo is a mobile and cloud-based solution for HR practitioners who need to manage a roster or timesheet effectively. ClockIn Portal's user-friendly, advanced online employee time tracking software allows employers to effectively manage users through a number of remarkable features and our clock in clock out app enables employees to do so with the click of a mouse. Plus, time-tracked information is kept securely at our servers, so it can be easily accessed at any time. ClockOn is a time and attendance moduel that speeds the recording of shift and break times using world class Suprema Biometric Terminals. ClockOn's rostering system that comes with centralized scheduling database, precise budget control, skills & qualifications filtering, and more. Clock Real Time shows employees arriving and leaving on remote computers and requires no time to total hours; it produces reports you just hand to payroll. Clock Real Time improves employee relations and eliminates wage disputes. ClockVIEW your source for full featured time and attendance software. CyberMatrix Timesheets is multi-user time sheet entry software that employees can use to quickly enter the time they spend on different projects or tasks. Damstra TWMS providing a completely customizable, end-to-end service that ensures people, vehicles and equipment are safe and fit for work, their time is tracked and information is available 24/7. Accurately managing your time and labor costs can be a tedious process and that goes double for mobile workforce management. dayTrack offers on field sales employee GPS location tracking, attendance system, sales visit tracking, sales order and payment collection data logging via mobile app connected to web app. Hi there! Can I help you find the best Time & Attendance solutions?